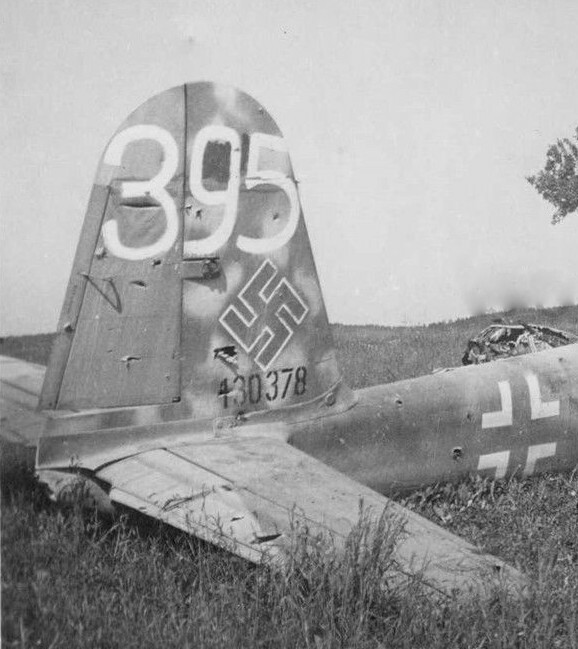 In 2011, we published the above photo of a Messerschmitt Me 410 B wreck in our ‘Captured Eagles Vol. I’ on page 21. 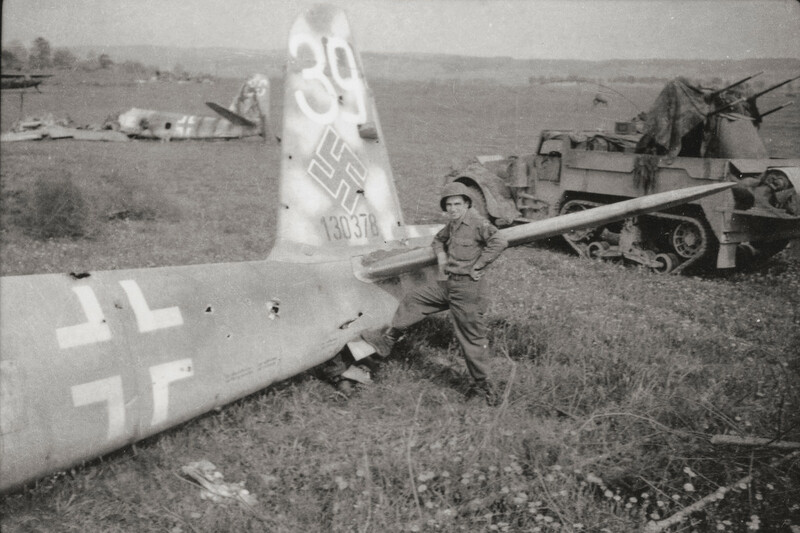 While the last digit of the large white, hand-painted number on the vertical stabilizer could not be seen on that photo, it was confirmed to be ‘5’ by other known photos of this aircraft. A new photo of the starboard side has been discovered recently (see photo on the left), which also confirms the last digit and provides some additional interesting features. The center and lower portion of the rudder appears to have been painted in a different color than the remaining rudder and stabilizer. It may have been yellow. Interestingly, there is a stencil visible on the rudder tab. Either it was carefully masked before the new layer was applied or it was the tip of the rudder that had later received a new color. Note the overpainted, darker area around the white digit 9. It may have been an area that had been damaged and repaired. Interestingly, the darker area appears on both the port and starboard side. could “395” be some kind of Allied marking applied to count the German wrecks? or is it a german transfer code as it appears on some bf109 in the late stages of the war?